Little information is known about the manta and devil rays found around South Pacific island nations like Fiji. Manta Project Fiji is dedicated to the conservation of mobulid rays in the Fiji Islands through research, education and collaboration. The project is working to better understand mobula ray movement ecology, population dynamics and genetic connectivity within the Fiji Islands, assisting government, local stakeholders and the tourism industry in developing more effective conservation management strategies. Consisting of over 330 islands in the South Pacific, the Fijian archipelagos are home to some of the healthiest reefs in the world. These rich waters bring tourists from around the world to dive and snorkel with the many species of marine life that reside there. 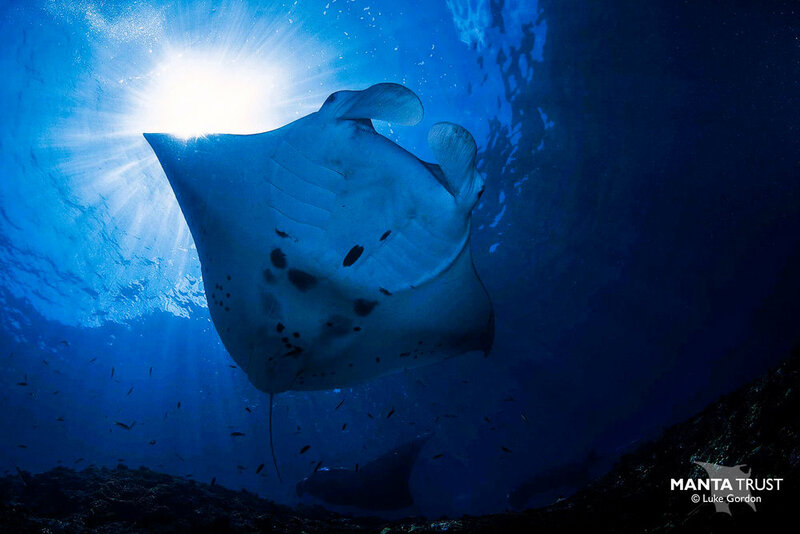 In Fiji, manta tourism was valued to be worth US $1.59 million in 2013 and this figure has likely increased in recent years. The introduction of eco-tourism has significant potential to provide sustainable employment for local communities: either directly through manta excursions, or indirectly through a rise in service sector employment. The disadvantage to the increase in tourism is potential overcrowding and manta disturbance at key sites. Enforceable operator guidelines and management is essential to protecting this resource and paving the way for a sustainable future. Fishing is an important source of revenue in Fiji. Although not specifically targeted in Fijian waters, mobulids (manta & devil rays) have been sighted in areas that are used by long lining vessels from foreign fleets, increasing the chance of by-catch. In addition, no data on mobulid catch rates exist in Fiji. Working in conjunction with resorts across Fiji, the Manta Trust is attempting to estimate the size of Fiji’s manta population and the movement of these animals within and around the archipelago, in order to gather baseline data on the current state of the country’s resident population. Research data is being used to recommend management programs and legislation that will safeguard against mobulid bycatch. Integral to the success of this project is the involvement of the local communities, working closely with villages to demonstrate the benefits of sustainable tourism over fisheries. Ultimately the project hopes to assist the Fijian people in making informed and effective management decisions that protect their manta and devil ray populations, and help to promote responsible tourism as a sustainable revenue stream that benefits both man and manta. The Fijian population of reef manta rays (Mobula alfredi) consists of both black and chevron-morph individuals. In fact, Fiji's population boasts one of the largest proportions of black-morph mantas of any well-studied reef manta populations. This provides an excellent opportunity to study the genetic differences between these two colour morphs, and discover any underlying factors that may cause the wide variations in the expression of the black morph observed in different parts of the world. To better understand the population dynamics of manta and devil rays throughout Fiji, in order to support the promotion of sustainable mobulid eco-tourism, and the effective regulation of bycatch fisheries in the nation's waters. 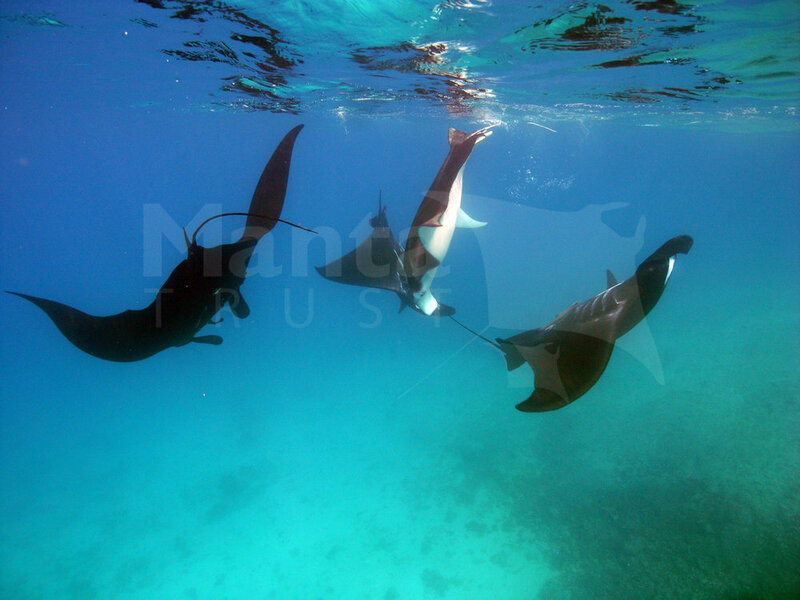 Additionally, the project hopes to increase our knowledge of the underlying causes of the black-morph, so that we may understand how and why its occurrence varies between manta populations. (1) Identify reef manta aggregation sites throughout Fiji, and assess the connectivity between mantas observed at these sites. (2) Discover the migration patterns, population structure, ecology and biology of the Fijian manta rays, using photo identification, citizen science, remote cameras, drones, environmental monitoring and local knowledge. (3) Raise awareness of the conservation needs of mantas in Fiji, and the benefits of sustainable tourism over unsustainable fishing of these animals. (4) Assist the Fijian government in establishing effective and sustainable conservation management and legislation, particularly with regards to managing tourism and reducing bycatch. (5) Assess the distribution and ratio of black morph / chevron morph reef mantas within the Fijian population, and investigate the underlying genetics. Luke finished school knowing he wanted to pursue a career investigating the natural world. He decided to gain some hands-on experience by initially volunteering in Madagascar on a marine environmental program. Being captivated by the tropical marine ecosystem and excelling in his role, Luke was offered a staff contract after three months, and spent the next six months in Madagascar working on empowering local communities with marine resource management strategies. Over the following two years, Luke worked in Fiji, conducting marine resource inventories around the western coast of Gau Island in the Lomaiviti group. During his time there Luke encountered his first manta ray, and started becoming increasingly acquainted with the resident population of reef manta’s (M.alfredi). 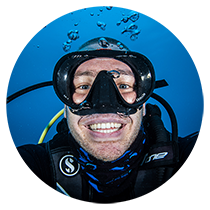 These experiences led Luke to enrol into the Open University and complete his BSc (Hons) in a distance-learning format, focusing on marine biology and environmental sciences. Conducting online learning part-time was not easy, but it allowed Luke to carry on gaining valuable field experience across the globe. Luke worked on a variety of different marine research projects, including; the implementation and management of marine protect areas in the Philippines and Fiji, coral reef regeneration and environmental education in the Maldives, the feeding ecology of oceanic manta rays (M.birostris) in Ecuador with Marine Megafauna Foundation, and delving into the world of cryptobenthic fauna on soft sediment habitats across S.E Asia with Curtin University. Most recently, Luke has been involved in a variety of research projects with the Save Our Seas Foundation’s (SOSF) D’Arros Island Research Centre in the Seychelles. One of the projects Luke was heavily involved in was the Seychelles Manta Ray Project, co-managed by Manta Trust and the SOSF. It was after this research project that the opportunity arose to come out and spearhead the next phase of manta ray research conservation in Fiji and the South Pacific. Established first nationwide reef manta database in Fiji, with a regular study base in the Yasawas (2012). Supported Manta Trust colleagues in collecting tissue biopsies from Fiji reef mantas, to compare their genetics with other populations, and identify differences between black & chevron morphs (2016). Submitted National Status of Mobulid Rays in Fiji report to Fijian government (2017). Since the initiation of the project in 2012, the project has been based at Barefoot Manta Island resort in the Yasawas (Drawaqa Island). 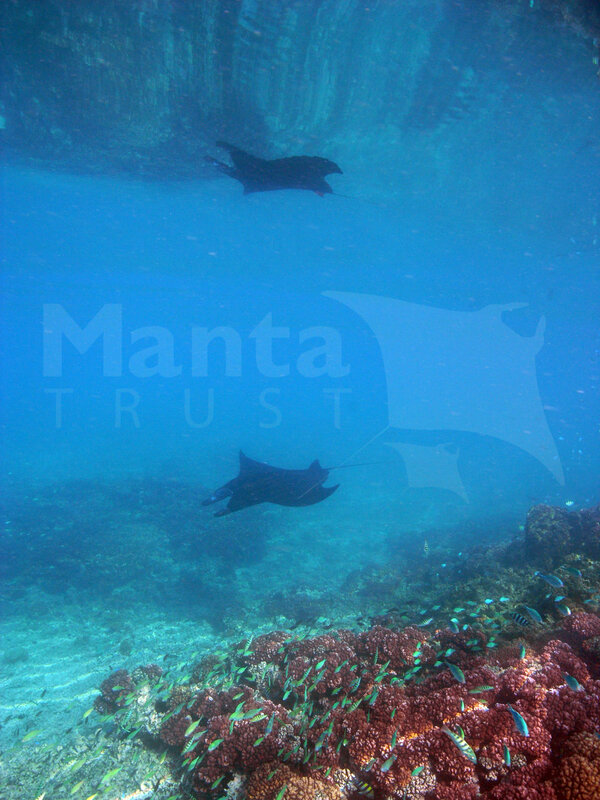 The main reef manta aggregation site is just off the island, where strong currents funnel zooplankton into the shallow channel between Drawaqa and the largest island in the Yasawas, Naviti. We are extremely grateful to The Barefoot Collection for their support, without which we would not be able to conduct our work in Fiji.